CLICK HERE to find all FIVE best-selling Campfire books at Amazon.com! If YOU (or someone you love) loves spooky stories you’re are at the right place. You can find my popular series of Campfire books (plus my Campfire coloring book) at Amazon.com. They make great gifts, too! 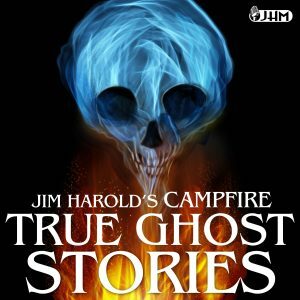 Each book contains 70 spooky stories taken from Jim’s popular podcast series, Campfire. All have been #1 best-sellers on the Kindle platform. Since each book is self contained, you can jump in on any volume! The series has over 340 Amazon reviews with a 4.5 star average! The True Ghost Story Adult Coloring Book inspired by Campfire! Adult coloring books are extremely popular and now there is one for the Campfire! Check out this fantastic book illustrated by artist Len Peralta.